Avid followers of the hit ABC television show Shark Tank are already aware the incredible platform the show gives to up and coming companies who are looking for their ‘big break’. Contestants on show bring their products in front of a panel of millionaire (at least!) judges, or “sharks” as they are referred to, in the hopes of landing an investment. Often times, profitable companies will appear on the show looking for the injection of knowledge and industry connections that the sharks bring, and not just a financial investment. The panel of Sharks is comprised of a panel of investors (namely Daymond John, Kevin O’Leary, Barbara Corcoran, Robert Herjavec, Lori Greiner, Marc Cuban; along with a few guest ‘sharks’) have evaluated business investment opportunities from every-day inventors and small business owners. While not all of the contestants leave the ‘tank’ with an investment, some do, and go on to reap the benefits of the years of knowledge (and cash!) that the Shark/investor have accumulated. Wondercide is a natural flea and tick and pet control products for pets and people. The company was founded when Stephanie Booth was not satisfied with the current flea and tick sprays on the market. They were full of toxic chemicals and were mostly water. She developed a formula which was made from food grade ingredients, which was safe to use on pets, children, and around the house. Their online sales soon skyrocketed and long before they entered the Shark Tank, they were profitable. The hurdle they needed to overcome was retail stores. While their online sales were stellar, they didn’t have a retail presence. In today’s ‘instant gratification’ society, they needed to put bottles on the shelves, so customers could use the product immediately. That vision came to fruition when Shark Lori Greiner stepped in with the expertise they were looking for. Wondercide is now available in stores across the United States and, of course, online. Wondercide has a great post about their journey on Shark Tank, what the process was like, and how the experience impacted them. It is a great read for any companies looking to go on the show. Looking for an update on how the company is doing after Shark Tank? Check out this great read from the Gazette Review: What Happened After Shark Tank? ICPooch is an interesting case study. While the idea for the product was ahead of her time, it seems like inventor Booke Martin may have pioneered the wifi-treat dispensing industry. She took this idea from the early Kickstarter stages, through development, shipping, and onto Shark Tank, only to have no investors bite. Today, however there are a wide variety of such products available that allow pet owners to not only dispense treats, but also meals, and allow them to see their pet through a device-mounted camera while away. In another post here, I assembled a list of the Top Automated Pet Feeders. Not all of them are wi-fi enabled, or can even be considered “connected” devices, but it is a great list to start with for finding the best automated pet food dispenser. The Ringer has a great article on the State of the Connected Pet which tries to figure out why pet owners are flocking to technology. The ICPooch website states the company is no longer in operation, but the spirit behind it lives on. The team behind the Himalayan Dog Chew is certainly unique. The brought their experience with this “people snack” from Nepal and adapted it to a “dog treat” in America. The product itself is quite unique. Take some yak and cow milk boil it, add salt and lime; press it in burlap and age it for a few months. After, it is cut into strips that dogs enjoy chewing on, similar to a Nylabone, but this is edible! When your dog chews through it, leaving a small end, it can be microwaved and will ‘puff’ into a cheese treat. Not all offers in the Shark Tank end in a deal. The creators of this product couldn’t reach an agreement with any of the sharks, but they certainly have gone on to success. Their pre-Shark Tank revenue was over $5 million and since then they have expanded their product line significantly to include Yaky Charms “dog popcorn” which you microwave like traditional popcorn; and fabric chew toys. Arguably one of the most interesting pet products to ever dare visit the Shark Tank is Fresh Patch. This company delivers two sizes of grass segments which are used indoors as a replacement for pee pads, and synthetic grass. Their premise is that dogs naturally gravitate to peeing on real grass, and due to the location or conditions, not all dogs can conveniently make it outside to do their business on naturally-occurring grass. The solution? Turn to Fresh Patch which will regularly send you (on a subscription model) a ‘fresh patch’ of grass. They sell optional frames for the grass to sit in; though you can leave the grass in its shipping container during use. While the founder came into the tank with just over 500 subscribers, after the show aired, he was shipping over 1000 ever day! His partnership with Mark Cuban and Barbara Corcoran has certainly paid off! 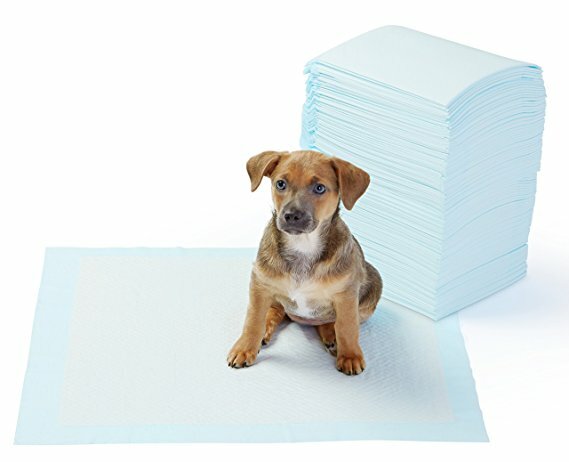 While there are several competitors offering a similar product (live grass delivered), there are also alternatives including newspaper inserts, synthetic grass, and absorbent pee pads. To summarize, there are all kinds of outcomes contestants on Shark Tank can leave with. Some come in looking for money they desperately need to continue or grow their business (for example, ICPooch), others come looking for the exposure (as in the case of Himalayan dog treats), while a third group come to the show to learn from the Sharks and bring their products to new markets (Wondercide). Its no secret that this show has certainly become a hit, and done a lot of good for several entrepreneurs which speaks to its ability to attract viewers and participants. The best part of this show is building the Entrepreneurial Spirit of everyone watching at home. How often do we have frustration completing a task and say “there must be a better way!” Taking the lessons learned by the Sharks and by the contentions appearing on the show, we can make “the better way” a reality, and take our solution to an every day frustration and turn it into a business. Watching Shark Tank will give you the basics of what is required for a successful business, but the Sharks have shared their knowledge in the books they have written. In those books, you can learn from a lifetime of experience. Check out the titles below for some interesting, and inspiring! reading. This entry was posted in list, review, shopping on August 12, 2017 by dexterkelly. For millions of Americans, ABC television series Shark Tank series has provided years of entertainment. Whether you tune in to see what new and exciting products are on the market or ‘coming soon to a store near you’, or if you watch just to see how brutally honest the sharks can be; there is sure to be something on each episode to keep you engaged. Since 2009, the series has featured a panel of investors (namely Daymond John, Kevin O’Leary, Barbara Corcoran, Robert Herjavec, Lori Greiner, Marc Cuban; along with a few guest ‘sharks’) have evaluated business investment opportunities from every-day inventors and small business owners. Contestants on the show each stand in front of the judges, explain the business they are in or the product they have invented, and give their best ‘elevator pitch’ as to why they deserve to have the well-seasoned ‘sharks’ invest in their business. Despite giving up some of the ownership, potential deals are worth millions of dollars in potential sales. Even if no deal is to be made, contestants benefit from the wide exposure they receive when the show hits the airwaves. Most of the products are intended for human use, like the Squatty Potty device that puts your body in a natural position to aid in toiled use; the Scrub Daddy ‘smiling’ sponge that is stiff or soft depending on the level of scrubbing power required, and the ever popular Tipsy Elves known for their pioneering ugly sweaters. There are, however, several products aimed at our canine (and feline!) friends that have appeared on the show. Each of them has a unique story of growing their business from nothing to something that has the potential to change lives. Apollo Peak Wine is wine created to ‘bridge the social divide between humans and their pets. The wine is safe and enjoyable for your dog or cat and made from all-natural ingredients. Their products come in several varieties including ‘The CharDOGnay, The Malbark, The ZinfinTail, The Doggy Mary, Cherry Blossom Pink CharDOGnay, Canine Pawrier Dog Champagne Chicken and Apple Flavor, and Pawrier Champagne Chicken and Honey Flavor. Check out their selection on their website or Amazon. Another entrant into the Shark Tank is PetPlate, a pet meal delivery service. Similar to services like Blue Apron or Plated. PetPlate will deliver ready-to-serve Vet and Chef designed recipes which have been made from 100% real ingredients. They use only USDA-recognized suppliers and don’t use animal by-products or rendered meats. Their vegetables are natural and full of nutrients and antioxidants. It is very simple to get started, all that is required is a quick questionnaire about your dog, and how often you would like deliveries, and from then on, a fresh shipment of meals will show up without worry. PupBox is another subscription-based service which delivers products to your door which are curated for households with a new puppy. Each month, you receive tips, treats, and toys developed specifically for you puppy’s age and characteristics. All treats and chews are made in the USA or Canada. One of the unique characteristics of this service is the Training and Development cards that come with the box giving you advice on Puppy Proofing hour home, the How To’s Of Crate Training, and training instructions to keep your puppy’s mind active and healthy. Any new puppy parent or owner knows that introducing a puppy into your home can cause stress and anxiety for both the owner and the dog; so having this monthly delivery can help to build the knowledge and provide the tools needed to make this a fun and enjoyable experience for all. Speaking to treats and food, TurboPup meal bars were created by Kristina Guerrero after she took an outdoor expedition and realized that her canine hiking companion didn’t have more than treats when he needed a full meal. After lots of testing and perseverance, she created a compact bar using Made In America ingredients. The bars provide the vitamins, minerals, and omega-3s to sustain your dog. They can be fed in place of traditional meals, and are not intended to be treats. Visit their website here or check out the bars on Amazon. TurboPup recently accepted an offer from ‘shark’ Damyond John and now they are in PetSmart stores across Canada and the United States. The day after the original Shark Tank broadcast, their sales increased by $30,000! Do you think you have what it takes to face the Sharks in person? Do you have a stellar business that just needs some money and connections to take it to the next level? Check out the requirements and application process here! This entry was posted in list, review, shopping on July 23, 2017 by dexterkelly.